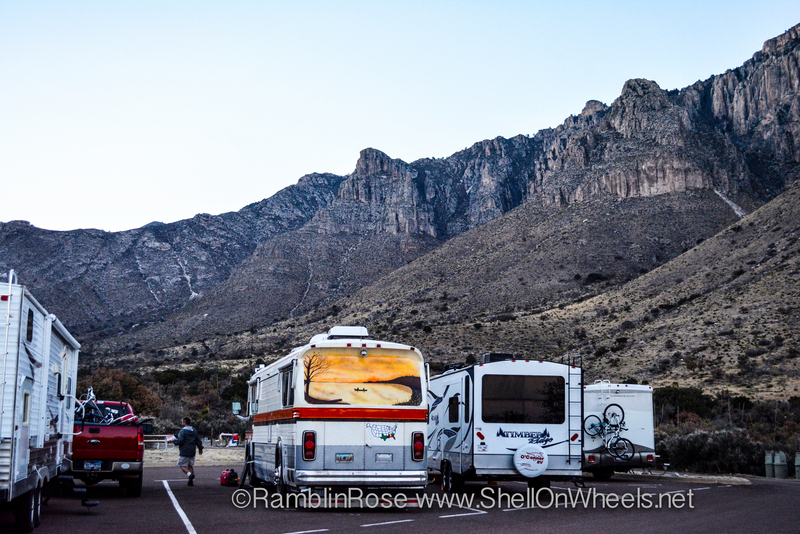 After leaving Monahans Sandhills State Park, we headed towards our last Texas stop; a one night stay in Guadalupe Mountains National Park. We would learn that one night here is simply not enough, but this visit was a compromise: we were eager to get out of Texas and on to other states since we had spent much more time than we anticipated there, but Guadalupe is one of our 59 national parks and it was directly on the way to our next planned destination. The unrelenting brown flats and mild hills gave way rather suddenly to a jutting mountain range as we approached Guadalupe. The RV site is just a parking lot with no hook ups, but it does have a bathhouse and potable water available, and generators may be used from 8 AM to 8 PM. The views are amazing, and we took advantage of our one day here to hike one of the trails accessible right from the RV lot. 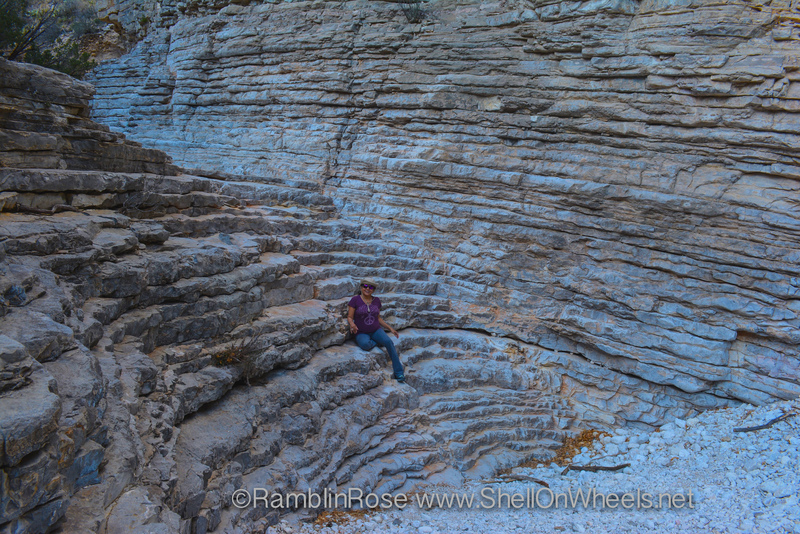 The ranger at the visitor center recommended we do Devil’s Hall since we only had about half a day once we finished setting up our site. 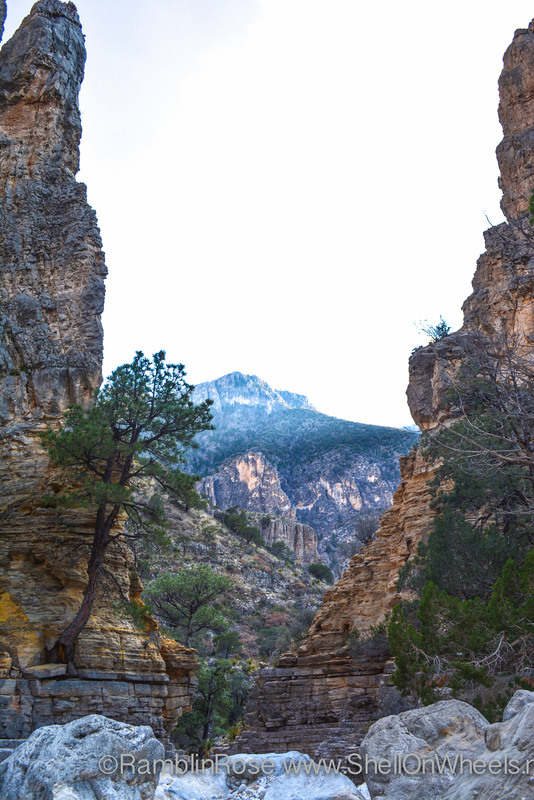 The terrain is similar to Big Bend, but with more sheer cliffs and general ruggedness. 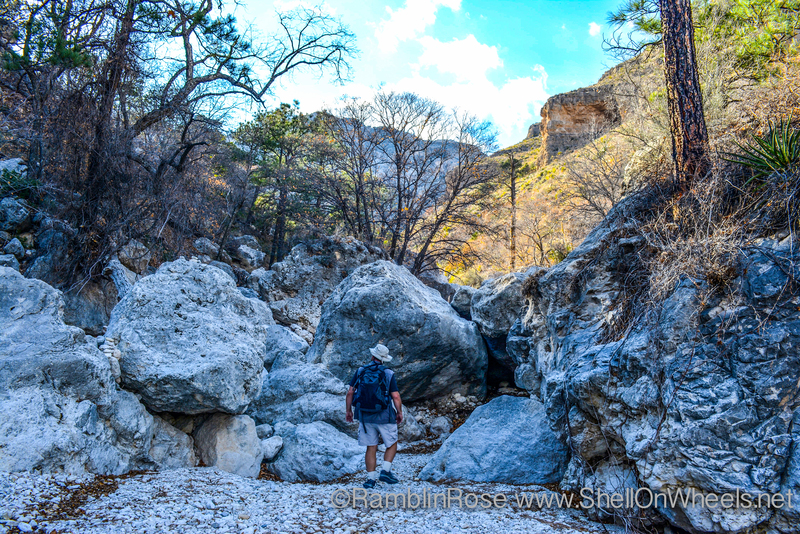 Unlike our seven mile hike in Big Bend, this time we prepared with full meal and took a day pack. The four mile jaunt through dirty paths and very rocky dry washes was fantastic, especially the culmination at the devils stairs and hall. If we had more time we would have taken on some of the other, longer trails, particularly to the top of Guadalupe to look down on El Capitan. Unfortunately we had an appointment in Carlsbad early the next morning to address a couple of water leaks in The Big Kahuna. 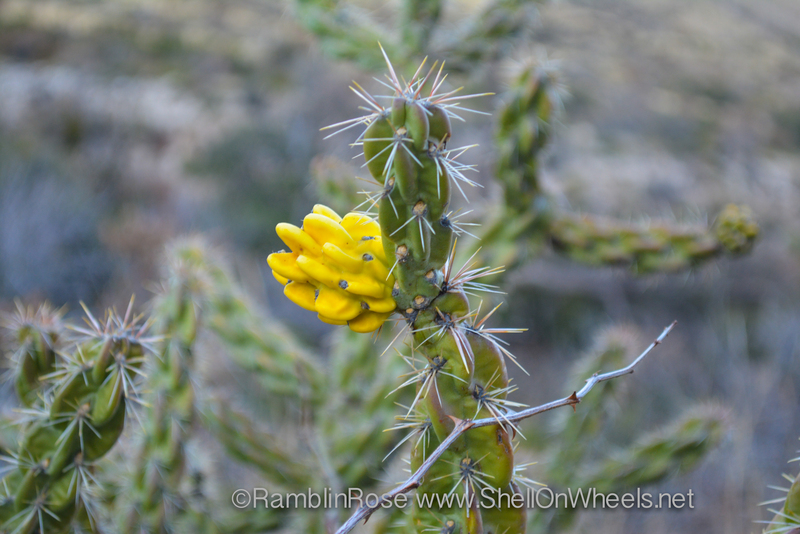 I suspect Guadalupe Mountains National Park is overlooked by a lot of visitors to the region that are headed straight for the Carlsbad Caverns just across the New Mexico border. We would recommend a stop in Guadalupe to anyone passing through. Looks beautiful. 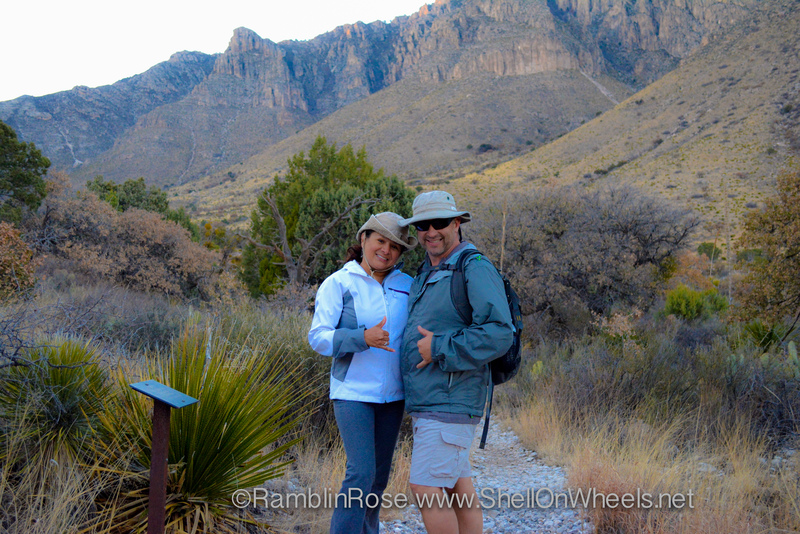 I already had the Guadalupe Mountains on our must visit list but I have now added the National Park and this trail. Thanks! Glad to provide a recommendation to those from whom we have recieved so many great ones.